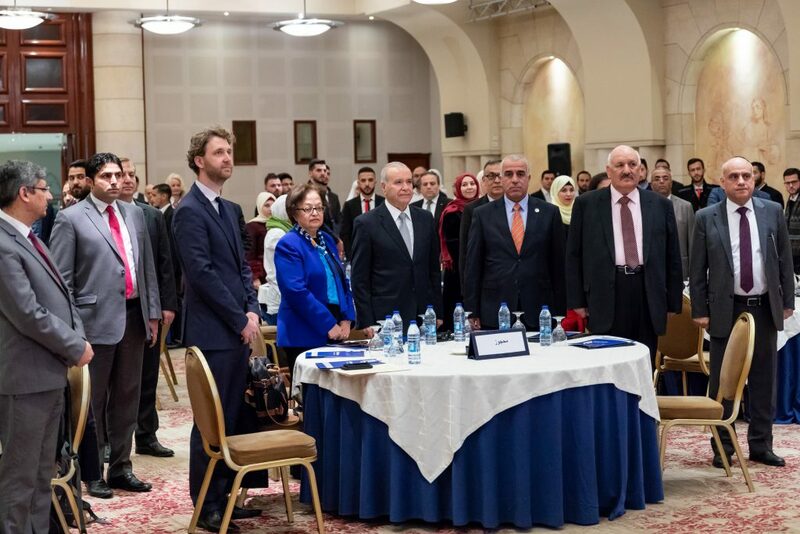 Amman, Jordan – February 24, 2019: Under the Patronage of H.E. Minister of Higher Education and Scientific Research Dr. Walid Maani, the European Union and the EDU-SYRIA Program, funded by the EU’s Regional Trust Fund in Response to the Syrian Crisis, the EU ‘Madad’ Fund, in cooperation with the GIZ’s Project “New Perspectives through Academic Education and Training for young Syrians and Jordanians”, funded by the German Federal Ministry for Economic Cooperation and Development, organised a conference on February 24, 2019 entitled: “Syrian Students in Jordan: Time to Start Over.” The opening of the conference was attended by H.E. Mr. Andrea Matteo Fontana, European Union Ambassador to Jordan, Mr. Tobias Caris the Cultural Attaché at the German Embassy, and President of the German Jordanian University Prof. Manar Fayyad. 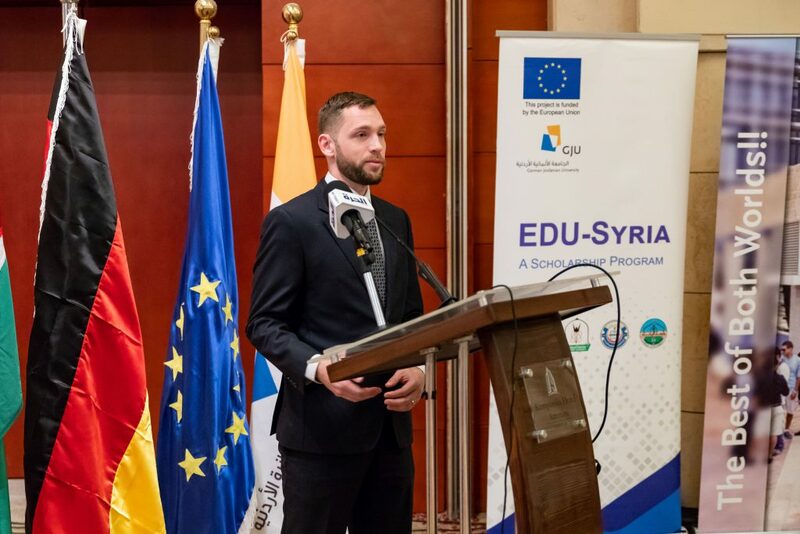 The conference tackled the issues faced by Syrian students in Jordan in higher education and highlighted the importance of academic scholarships offered to Syrian refugees and vulnerable Jordanian students by the European Union and the German Federal Ministry for Economic Cooperation and Development, gathering more than 120 participants including representatives from ministries, international and non-governmental organisations, universities, and Syrian students in Jordan. 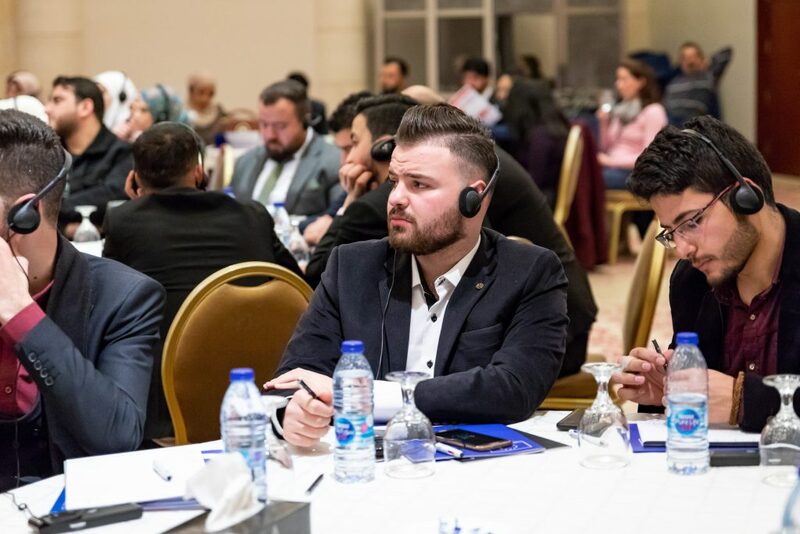 The conference was a result of a series of workshops for Syrian students held in the German Jordanian University, Zarqa University, Luminus Technical University College and Zaatari Camp. The results and recommendations of the workshops were presented at the conference in the form of dialogue sessions. 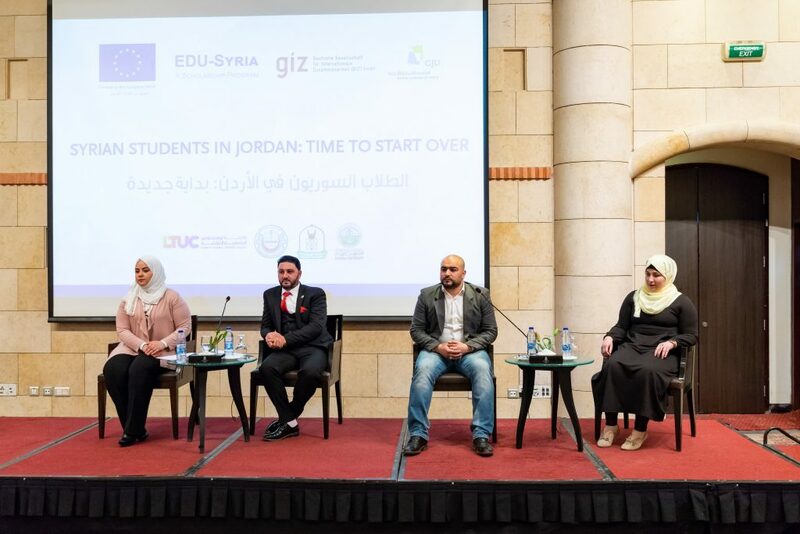 Thorsten Metz, Head of the GIZ Employment Portfolio in Jordan stated that “The idea of the conference is to spread the word to politicians here and in the EU about how Syrian refugee students in Jordan perceive their situation. It is crucial to listen to those we address in policies and programs and to hear the thoughts of those who are affected by the decisions of politicians and donors. 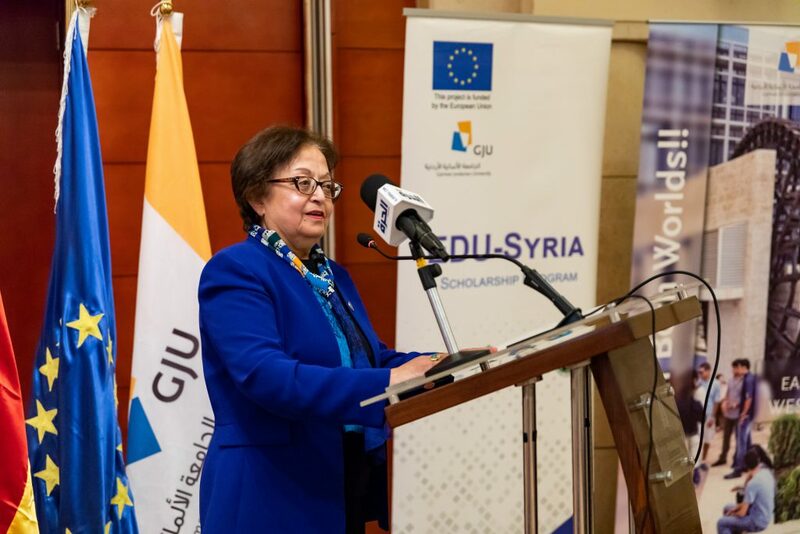 We should not overlook the vulnerable situation Syrian refugee students are still in; and think about ways to continue supporting them in their endeavours.” He also stressed the importance of well-educated people for the development of any country and thus the importance of scholarship programs for disadvantaged members of society. 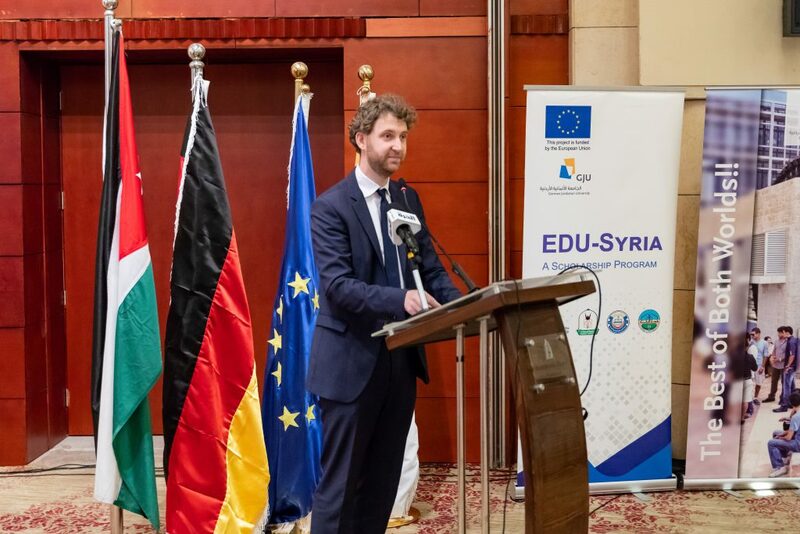 Tobias Caris from the German embassy highlighted the German commitment – especially with regard to higher education and provision of scholarships – and confirmed its unwavering support to Jordan to deal with the Syrian crisis. instruments through which the new EU partnership priorities with Jordan and Lebanon is implemented. Federal Ministry for Economic Cooperation and Development (BMZ) – and many public and private sector clients in around 120 countries in achieving their objectives in international cooperation. With this aim, GIZ works together with its partners to develop effective solutions that offer people better prospects and sustainably improve their living conditions. 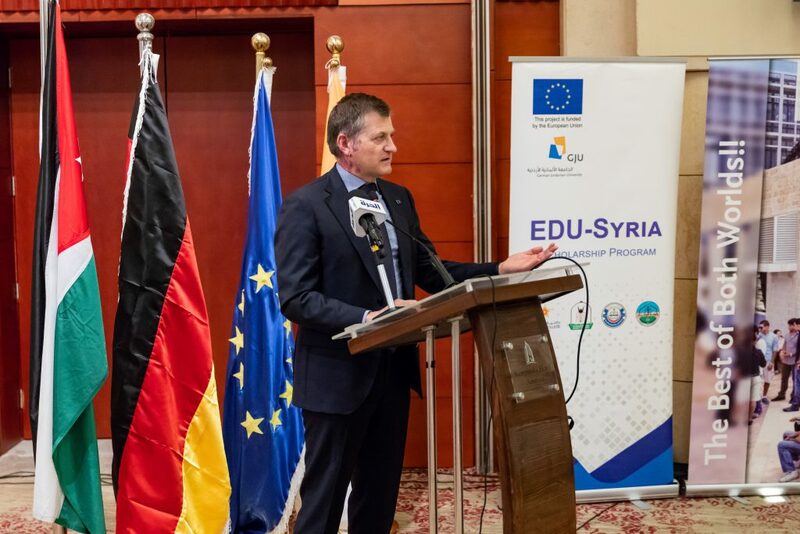 On behalf of the German Federal Ministry for Economic Cooperation and Development, the project awarded scholarships for Master’s courses at Jordanian universities. Students receive financial, as well as psychosocial, support. Recipients are equally divided between Syrian refugees and disadvantaged Jordanians, with women making up half of each group. 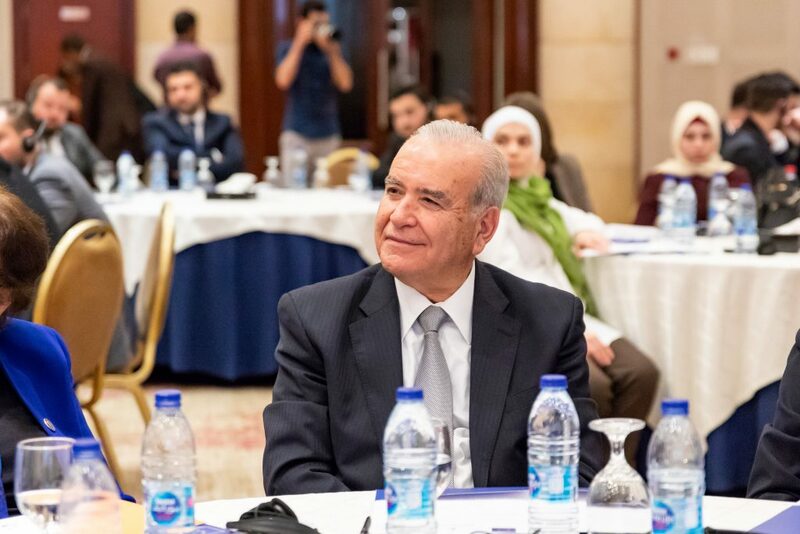 The project also aims to anchor the admission of refugees in the structures of Jordanian universities.